What Is Date & Walnut Juice Like To Vape? This flavoured e juice is surprisingly lovely vape. When you first inhale our date and walnut your mouth will fill with the juicy sweet date taste which is underpinned with subtle walnut. The walnut accentuates and expands the dates flavour adding a slight nuttiness. The foreground is definitely the date flavour as the vapour rolls over your tongue. It's a smooth and fruity refreshing vape. On exhale you can still taste the full flavour while producing a fruity aromatic scent when blown out. 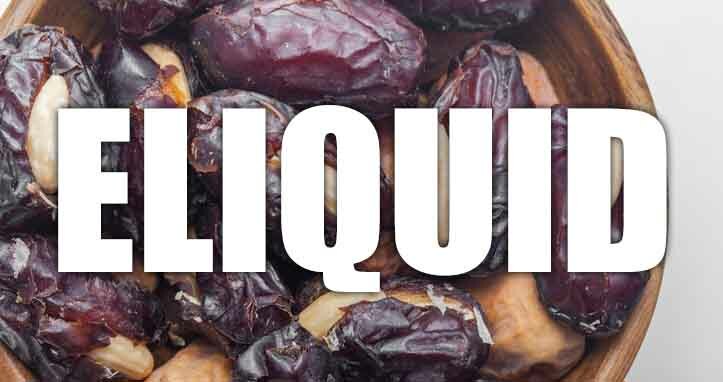 Is Vaping Date & Walnut eLiquid Okay For Vegans & Vegetarians? When you pick one our fruity e liquids are gluten free and suitable for vegetarians, and vegans. You can rest assured when purchasing this e liquid flavour that it contains only the purest ingredients.